I am Lauryn Hudson, and I am a 2nd-year Posse Scholar from Los Angeles, California. I am majoring in Public Health, minoring in International Development, and on the Pre-Medicine track. On campus, I am a Lab Technician for the Biology Teaching Labs, a TIDES Peer Mentor, and on the Executive Board for the Black Student Union. Moving from Los Angeles to New Orleans was a big jump for me, it's humid here, and rains every other day, but that hasn't stopped me from forming lasting memories with the people I’ve met and the experiences I’ve made here. Some of the things I love most about New Orleans are all of the different food festivals and the culture that is present. What I do on campus and the experiences I’ve had off campus are what make me call Tulane my home away from home. Coming from a small in North Louisiana, I never anticipated the incredible experiences I'd get to have going to Tulane. 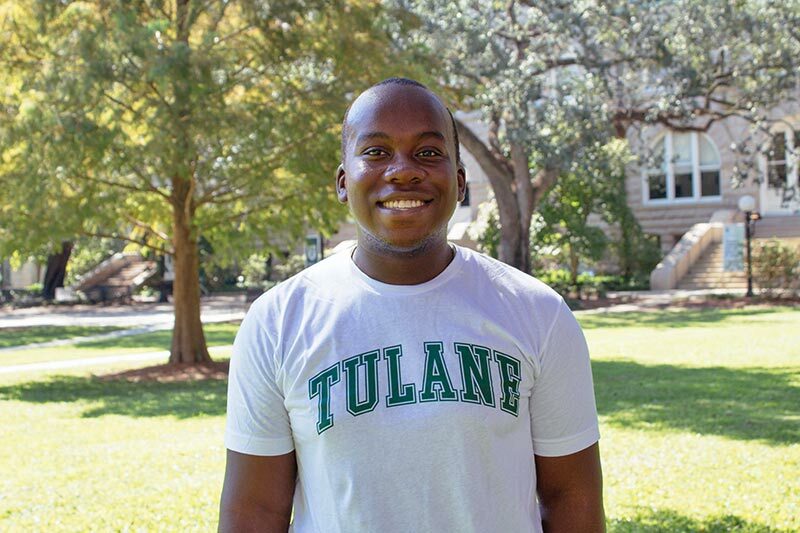 The approachable professors, friendly students, and the opportunities to grow outside of my major program all drew me to Tulane University. I'm lucky enough to be a part of the marching band, where I play the French horn, and I currently sit on two councils: The Diversity and Inclusive Equity Committee and Gender and Sexuality Advisory Council. As an English and Political Science major, you'll likely find me in Howard Tilton with my head in a book. Hey y'all! My name is Alicia (She, Her, Hers) and I am a Sophomore from Dayton Ohio studying Political Science and International Development. 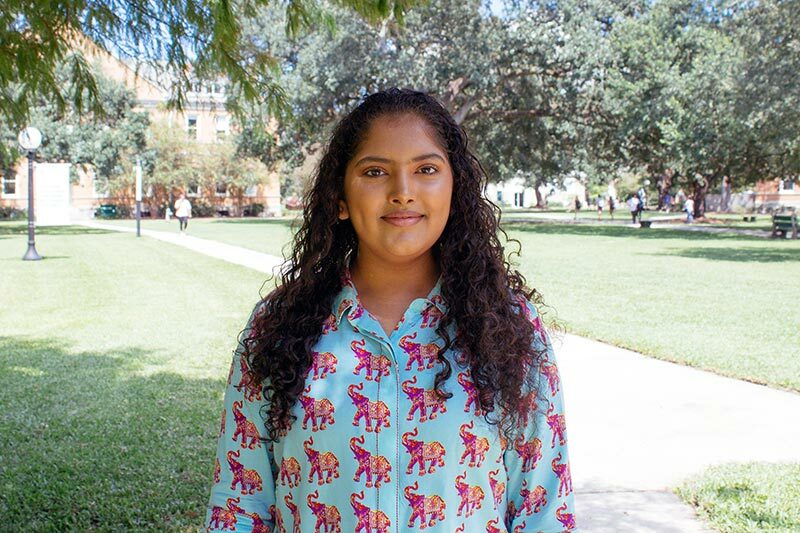 On campus I am involved in the Center for Public Service as a Public Service Fellow, the Orchestra as a violinist, the Office of Multicultural Affairs as a mentor, and now, Tulane admissions! Off campus I volunteer as a music theory teacher in an after school program and a receptionist at the Covenant House downtown. What I love most about New Orleans is the opportunities it offers to learn about people, culture, history, and tradition. I could have never predicted that I would learn so much about life from just living in this city itself. Hi I'm Kennon Stewart (he, him, his, himself) and I'm a rising sophomore from Detroit, MI and I'm majoring in mathematics and sociology. On campus, I'm a Green Wave Ambassador, Center for Academic Equity research fellow, and Chair of the Gender and Sexuality Affairs Committee. When I'm not on campus you can find me at Boswell's Caribbean Grill in Mid-City, the Math Library in Gibson Hall, or trying to save my GPA in the Academic Learning and Tutoring Center! Coming from the Cupertino, California, I had the “better than thou” mindset that the Bay Area inevitably gives you if you’ve lived there long enough. But New Orleans exceeded every single expectation I had. Every aspect of it had some semblance of love and culture behind it. The food is incredible, the music is soulful, and the people are among the nicest I’ve ever met. So, when I first stepped into Tulane’s campus, I knew I had chosen my future home well. (Tulane’s rankings in academics, most engaged in community service, and happiest students certainly helped my parents allow me to move 2,000 miles away.) Currently, I’m a Cell and Molecular Biology and Public Health double major on the pre-med track. 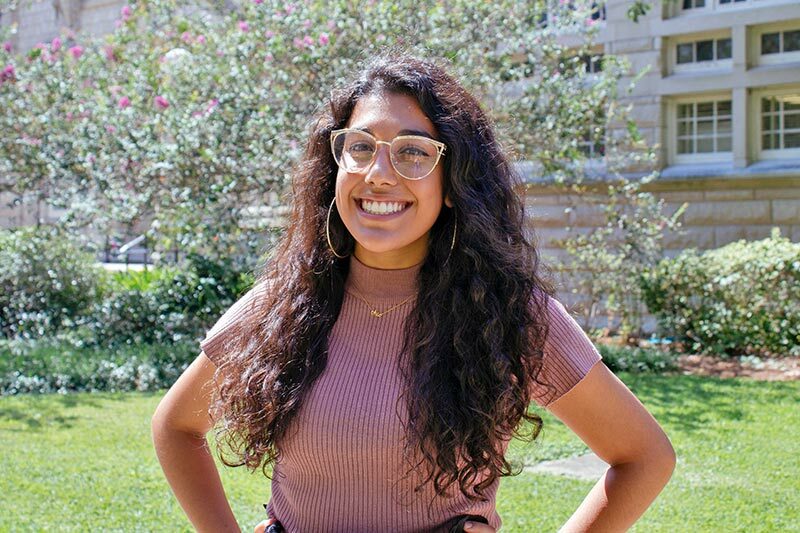 I’m involved in Center for Public Service and I research downtown at both the School of Public Health and Tropical Medicine and the Medical School. It can be a lot of work, but Tulane students are all about the “Work Hard, Play Hard” lifestyle. So, when I’m not studying, I enjoy going to the fly, watching movies at the historic Prytania theater, and exploring the biggest little city in America! 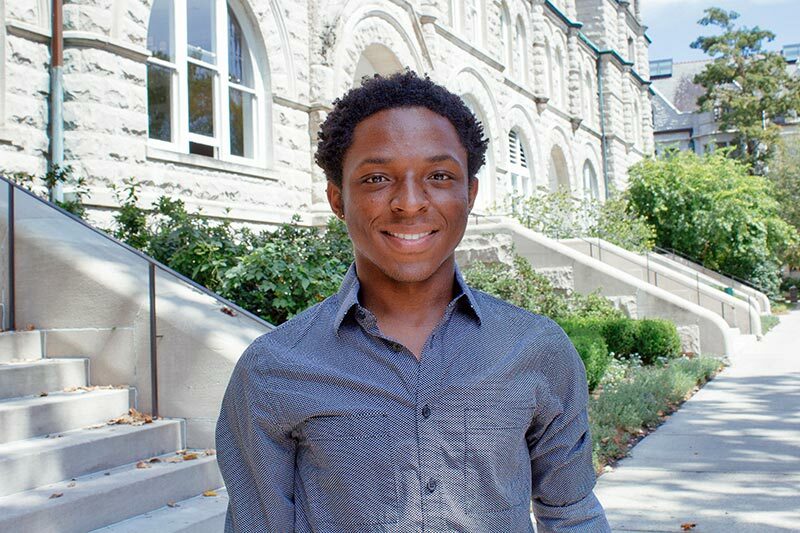 My name is Trejon Shelton and I am a current sophomore from Pasadena, CA (right outside of Los Angeles). I am planning to study International Relations/Political Science with a minor in Chinese and Marketing. On campus some things I am involved are the Green Wave Ambassadors (which are our tour guides on campus), Black Student Union, Special Olympics, Concert Committee, and the New Student and Leadership Program (as an Orientation Leader). What I love most about Tulane is the family-oriented community that is present here. 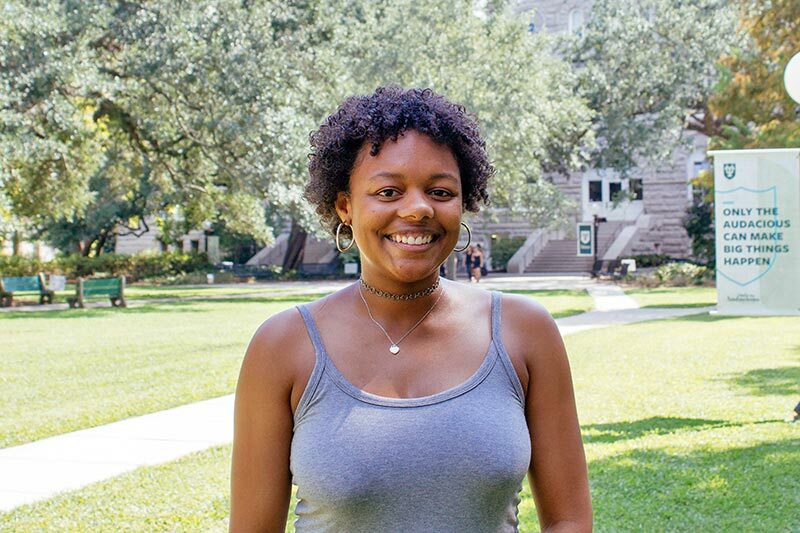 When I am at Tulane, I feel at home; and I want to share that same love and happiness with all I come across on this campus. In addition, I can’t be more thankful to be in such an historically, musically, and culturally rich city. There always something intriguing and exciting going on. The combination of an amazing on campus experience and the opportunity to immerse in all that is ‘The Big Easy’, makes for some unforgettable and profound years in one’s life.